The Indian Scout was born in October 1919 and is generally known as the model of 1920. The 627th Indian Scout to emerge from the production line was exported “down south” to New Zealand where it was purchased by a man named Burt Munro. A man who would one day make that Indian Scout a legend on the Bonneville Salt Flats. The original 1920 Indian Scout in unmodified form had a 610cc V-twin engine and it was a bit slow for Burt, by the time he had finished “tweaking” his 1920 Indian Scout it claimed world land speed records in 1962, 1966 and 1967 and made a qualifying run in which it actually managed to exceed 200mph. Designed by Irish engineer and motorcycle enthusiast Charles Franklin, the Indian Scout was to become one of the most loved and respected machines to emerge from the Springfield based factory. The Scout was the middleweight and lively handling Indian and was the successor of the four stroke flat-twin Model O which was manufactured until 1919. The Scout was a completely new design with a new V-twin engine and a leaf spring trailing arm front fork suspension. 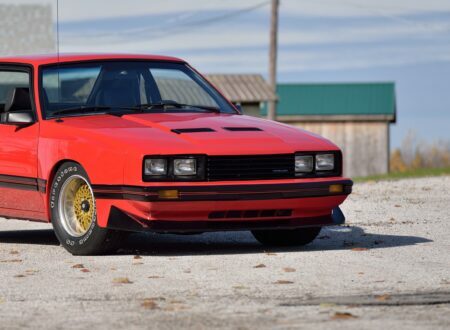 The Scout had its three speed gearbox bolted to the engine and gear changing was via a gear-lever beside the fuel tank – normally on the right side and directly connected to the top of the gearbox. The primary drive from the engine to the gearbox was by gears rather than by a chain. The first model Scout was known as the model of 1920 and in succeeding years the engine capacity was progressively increased. The first increase was made in 1927 and the Scout model was named the Scout 45 as it had a 45 cubic inch (745cc) engine capacity. 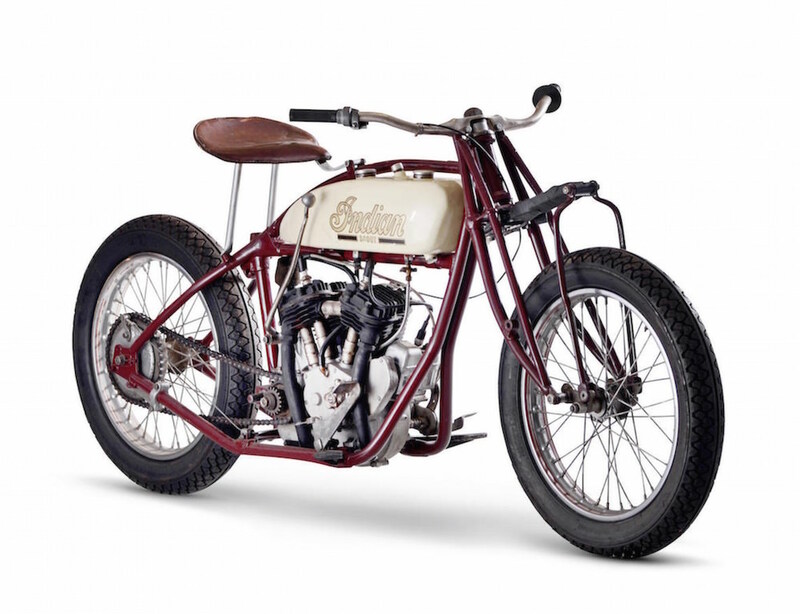 Indian’s motivation for increasing the Scout’s engine size creating the Scout 45 was the competition they were faced with from the Excelsior Super X which was a V-twin with a 45 cubic inch engine. 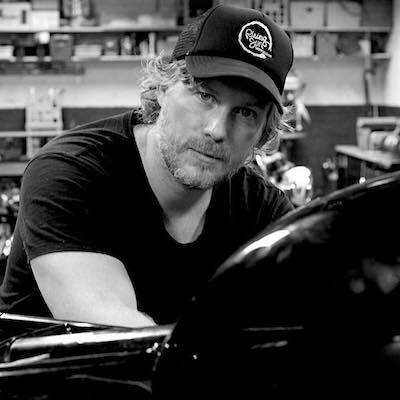 The Excelsior brand were associated with high-performance motorcycles both of the V-twin configuration and the in-line four-cylinder Excelsior Henderson motorcycles. The 45 cubic inch Excelsior Super X was introduced in 1925 and remained in production until Excelsior Motorcycles closed permanently in 1931 because of the spectre of the Great Depression. In 1928 Charles B. Franklin designed a new version of the Scout around a completely new frame. This bike was designated the Indian Scout 101 and it’s frame featured more rake on the forks, a longer wheelbase of 57⅛ inches and a lower seat height. These features significantly improved the Scout 101’s handling and rider experience by comparison with its predecessor and also by comparison with its opposition. Indian’s main competitors at this time were Harley-Davidson and Excelsior. In 1927 Indian had bought Ace Motorcycles and acquired the in-line four-cylinder Ace Four of 1220cc capacity designed by Arthur O. Lemon, a bike that was to become the “Duesenberg” of Indian’s product line-up. The Indian Scout 101 was targeted at the market for mid-size motorcycles with the Indian Chief as the large V-twin and the Indian Four as the big four cylinder. It was the Indian 101 Scout that became the popular motorcycle for racers, hill climb competitors and stunt/trick riders. Its excellent handling and good balance of weight and power all contributing to its controllability and ease of riding. 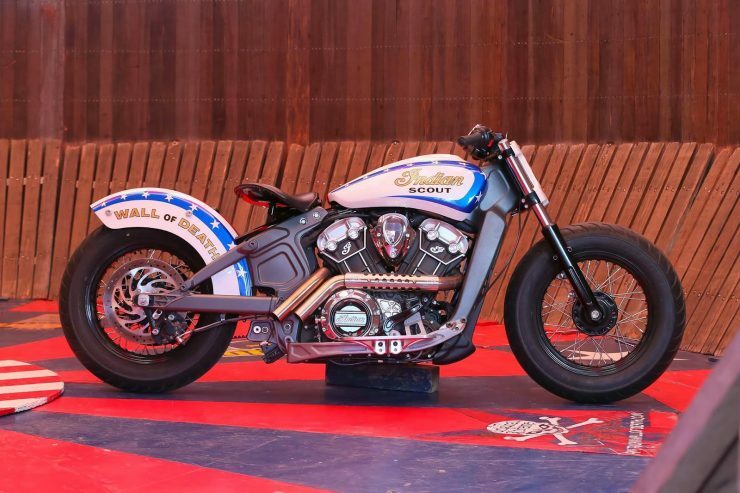 Even to this day the Indian Scout 101 is still being used in “Wall of Death” exhibitions. It is often described as “The best motorcycle Indian ever made”. 1931 became the pivotal year for the Indian Scout. In 1931 the effects of the Great Depression were biting hard, and businesses were beginning to close their doors. Amongst the first were Excelsior Motorcycles who had continued to do well despite the gloomy economic situation. By September of 1931, they had closed up shop never to re-open. 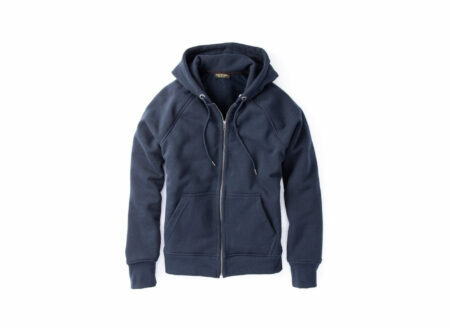 Management at Indian were similarly concerned at the way things were going, and so they decided to rationalise their product line to make it less expensive to maintain and manufacture. Amongst the casualties of this rationalisation was the Indian Scout 101 which had enjoyed the benefit of its own unique frame up to this time. 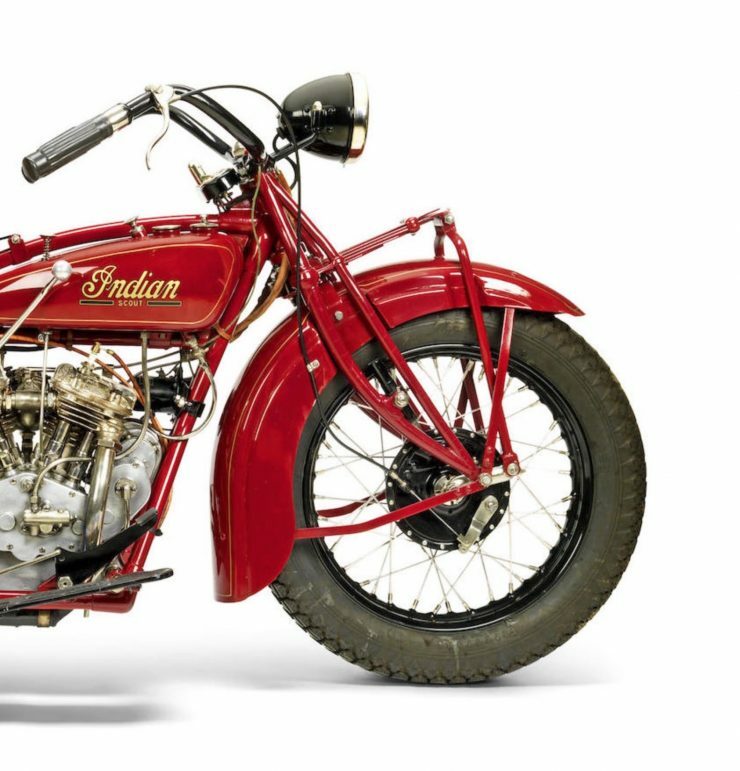 Indian’s management decided that the Scout frame was one frame too many and so for the 1932 product year the Scout was to be given a rationalised frame. This frame had been designed as a “one size fits all” solution to be used for the new Scout, Chief and Four. Common sense will immediately tell that a frame that can accommodate the big V-twin Chief engine and the even bigger four cylinder Ace engine is going to be too big a frame for the smaller Scout. The resulting bike was wider, heavier, slower and clumsier. Consequently at the time this proved not to be a popular move, and it ensured that Indian’s market share would progressively decline. The 1932 model was called the Standard Scout, and it remained in production until 1937. Interestingly this model, although it was bulkier and had poorer performance, has become a liked and sought after version of the Indian Scout. Many regard it as a classically styled Indian. Notwithstanding that some liked the new model by 1933 the feedback from Indian’s dealerships left the company in no doubt that they were losing market share because of the decision to discontinue the much loved Scout 101. Something needed to be done and that something was a new bike to try to re-create the things that had made the Scout 101 so popular and respected. This new bike was the Sport Scout with a new two-piece lightweight frame that was stiffer than the old 101 but not much heavier, lightweight alloy cylinder heads, girder forks and improved carburettors. 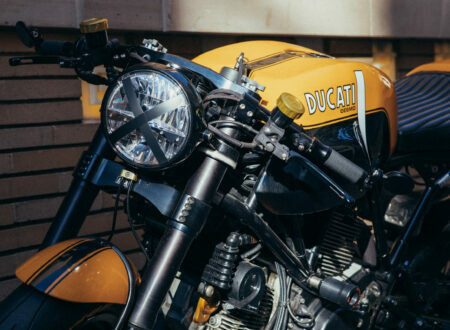 The resulting complete bike was about fifteen pounds heavier than the 101 but was very much a return to the features that customers had wanted. The Sport Scout was a good motorcycle, and one went on to win the first ever Daytona 200 in 1937. By 1940 Indian were beginning to fit their motorcycles with full skirt fenders, an image that was to become something of an Indian trademark. Then, in 1941, the Scout got a plunger type rear suspension which improved the bike’s handling significantly. By this time the Second World War was well under way but the United States was not yet involved. 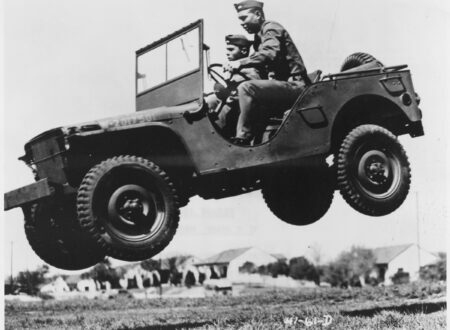 It was on 7th December 1941 that the Japanese surprise attack on Pearl Harbor took place bringing the US into the war and simultaneously creating a need for motorcycles for the military, especially the Army as US troops headed to Europe and Asia to meet their German and Japanese adversaries. 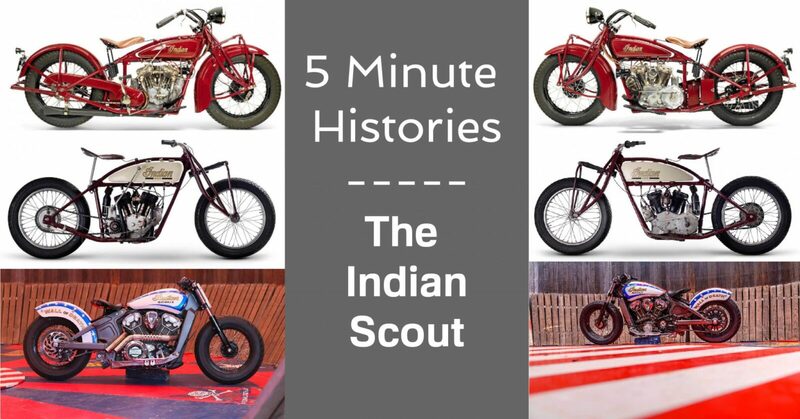 Indian created a de-tuned and military grade version of the Thirty-Fifty Junior Scout with the smaller 500cc engine, which formed a stressed member part of the frame and sold around 30,000 of these primarily to British and British Commonwealth forces. Indian also had an order for 2,200 of these militarised Junior Scouts for the French military which were lost at sea when the ship carrying them, the Hanseatic Star, was torpedoed by a German U-boat in 1940. Additionally Indian made an additional 5,000 bikes for the British War Department to make up for the shortfall after the Coventry based Triumph factory was bombed by the Luftwaffe bringing production to a standstill. At the end of the war, there was a booming market for motorcycles and the cash-strapped government of Britain made sure that British industry understood the need to “Export or perish” so British motorcycles from the likes of Triumph, BSA and Norton made their way across the Atlantic to the United States to be snapped up by American enthusiasts. When Indian resumed civilian motorcycle manufacture in 1946 it was effectively under new management. In 1945 a group headed by a man named Ralph B. Rogers had purchased a controlling stake in the company and decision making regarding manufacture of Indian motorcycles had been turned over to them. Amongst the first things this new management did was to discontinue the Indian Scout and replace them with badge engineered British imports from the likes of Royal Enfield. The last Indian Scout to be made was a small production special in 1948. 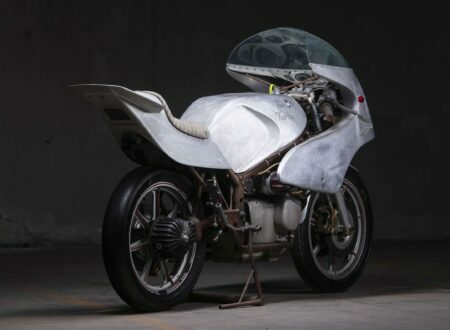 Just fifty Indian 648 Sport Scouts were built primarily for homologation qualifying for racing use, and indeed an Indian 648 Sport Scout won the 1948 Daytona 200 with Floyd Emde in the saddle. The 648 Sport Scout was the last of the line of Indian Scouts although the name Scout would be used on a successor, the Indian 249 Scout with its straight twin engine. 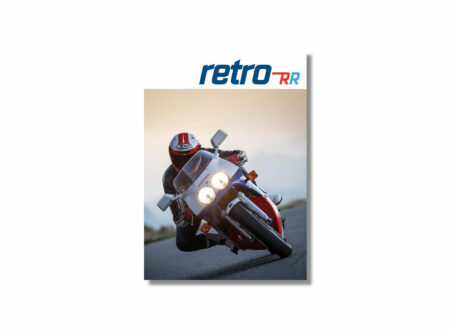 The Indian Motocycle company has gone through a range of ownerships and some different names in the intervening years since Indian went into liquidation in 1953. In April of 2011 Polaris Industries acquired the rights to the Indian name and have brought a new Indian Scout into production. The new Indian Scout was introduced in 2015 and has a 69.1 cubic inch (1,133cc) liquid-cooled, double overhead camshaft V-twin engine fitted into a multi-part cast alloy frame. As a companion to this impressive bike the Scout Sixty was created in the same year but released as a 2016 model. The Scout Sixty is very similar to the Scout but with a slightly smaller 61 cubic inch (999cc) engine. Both bikes are excellent pieces of engineering and offer desirable levels of comfort combined with a light more sporting personality than its larger sibling, the Indian Chief. 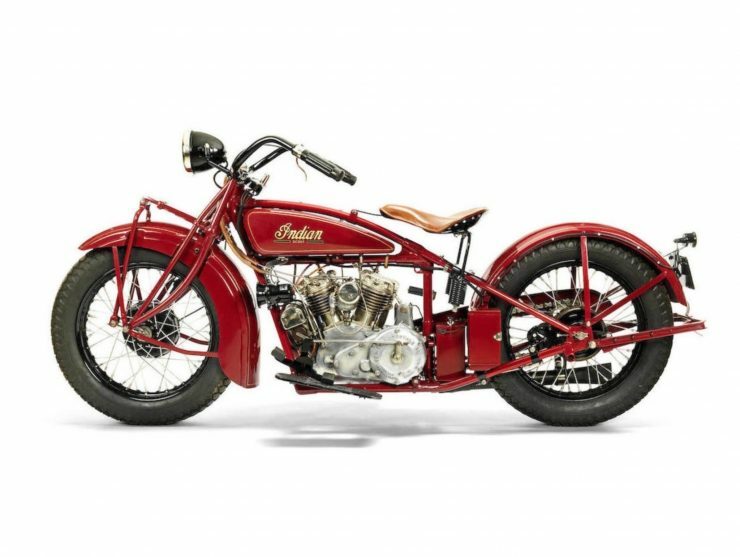 The Indian Scout over its history from 1920 up to the present day has been a motorcycle that has been favoured by enthusiasts because of its combination of relative light weight with an abundance of engine capacity and power. The Indian Scout is an icon amongst American motorcycles, a status it has well and truly deserved. The new Indian Scout is a modern rendition of the Scouts of old and it is to be hoped it continues and prospers. Its so good that we think we should offer everyone a warning. Before you go and look at the new Indian Scout or sit on one first check your bank balance. Because if you sit on one or take on for a test ride you are pretty certain to want to buy it. Just as that first 1920 Indian Scout caused a young man named Bert Munro to open his wallet and buy a bike that was to lead him on a life adventure.